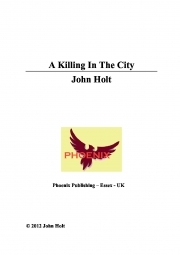 Description of "A Killing In The City (eBook)"
‘To make a killing in the City’ is a phrase often used within the financial world, to indicate making a large profit on investments, or through dealings on the stock market - the bigger the profit, the bigger the killing. However, Tom Kendall, a private detective, on holiday in London, has a different kind of killing in mind when he hears about the death of one of his fellow passengers who travelled with him on the plane from Miami. It was suicide apparently, a simple overdose of prescribed tablets. Kendall immediately offers his help to Scotland Yard. He is shocked when he is told his services will not be required. They can manage perfectly well without him, thank you. Reviews of "A Killing In The City (eBook)"